Whether you believe in ghosts or not, St. Augustine has a long and rich history of celebrating the paranormal year-round. As the oldest city in the country, it’s seen more than a fair share of violent battles throughout it’s rich history, which only adds to the excitement when it comes to spirits running amuck. A Ghostly Encounter - Have a fun fright and enjoy the 11th annual costume contest. This event is free and will take place October 30th from 2pm to 5 pm. If that's not your ghoulish cup of tea, join A Ghostly Encounter for their nightly walking ghost tour. Tickets are $15. Dark of the Moon Tour - the St. Augustine Lighthouse & Museum is known as one of the most haunted places in the city. Featured on CNN, Fox News and The Weather Channel, the Dark of the Moon Tour takes visitors inside the famed lighthouse abuzz with paranormal activity. Tickets are $25 with discounts for St. Augustine Lighthouse & Museum members. Trick-or-Treating at the Alligator Farm - even the wildlife gets into the Halloween spirit in St. Augustine on October 28-30. The Creatures of the Night event at the St. Augustine Alligator Farm is the place to see a special alligator feeding and bring the kids trick-or-treating. Admission is $10 for adults, $8 for children (with dollar off discounts for members). 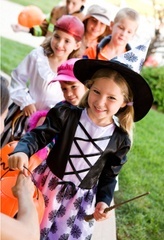 Trick-or-Treating at St. Augustine Outlets - hit this top shopping destination with your ghosts and goblins for a safe trick-or-treating experience between 6 and 8pm on October 31. Start the spooktacular journey at Guest Services near the food court. You can also find treats for yourself, including shoes, clothes and other goods (for purchase, of course). 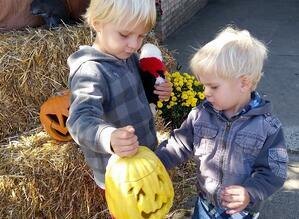 In and around St. Augustine, the young, old and everyone in between can join in on the fall-time fun. 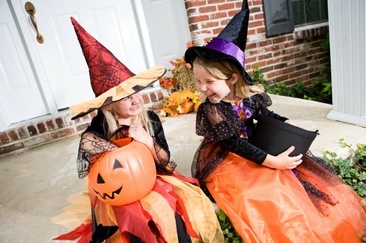 It’s a time of year you won’t want to miss being a part of, with or without a costume. The city of St. Augustine is also a wonderfully-festive place t0 spend the holidays. To learn more about new homes in the nearby Nocatee community, explore Nocatee.com, call 1-800-NOCATEE or stop by the Nocatee Welcome Center.